Organic and inorganic pollutants caused by the development of agriculture and household consumption have caused considerable damage to the environment, and soil microorganisms can degrade or convert organic and inorganic pollutants to a certain extent, and contribute to the ecological health of the soil and the sustainable development of agriculture. Mainly organic pesticides, mostly halogenated aromatics, the most difficult to degrade are some chlorinated hydrocarbon pesticides. Some microorganisms in the soil have the function of degrading these organic pesticides. Some microorganisms can replace the chlorine atoms on the non-aromatic ring carbons with hydrogen atoms. Microorganisms having such dechlorination functions include yeast, common proteobacteria, and Serratia marcescens. 1）Biosorption and enrichment, microorganisms can absorb heavy metal ions through the surface of the charged cells, or actively absorb heavy metal ions by taking necessary nutrients to enrich heavy metal ions on the cell surface or inside. 2) Dissolution and precipitation. The dissolution of heavy metals by microorganisms is mainly carried out directly or indirectly through various metabolic activities. 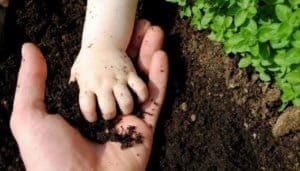 The metabolism of soil microorganisms produces a variety of low-molecular-weight organic acids such as formic acid, acetic acid, propionic acid, and butyric acid. Most of the organic acids produced by fungi are nonvolatile acids such as citric acid, malic acid, fumaric acid, succinic acid, and lactic acid. Fungi can secrete amino acids, organic acids, and other metabolites to dissolve heavy metals and minerals containing heavy metals. 5) The relationship between the mycorrhizal fungi and soil heavy metals bioavailability, symbiosis between mycorrhizal fungi and plant roots can promote plant nutrient absorption and plant growth, mycorrhizal fungi can also activate certain heavy metal ions through the secretion of organic acids, mycorrhizal fungi Fungi can also affect the absorption of heavy metals by plants in other forms such as ion exchange, secretion of organic ligands, hormones and other indirect effects.